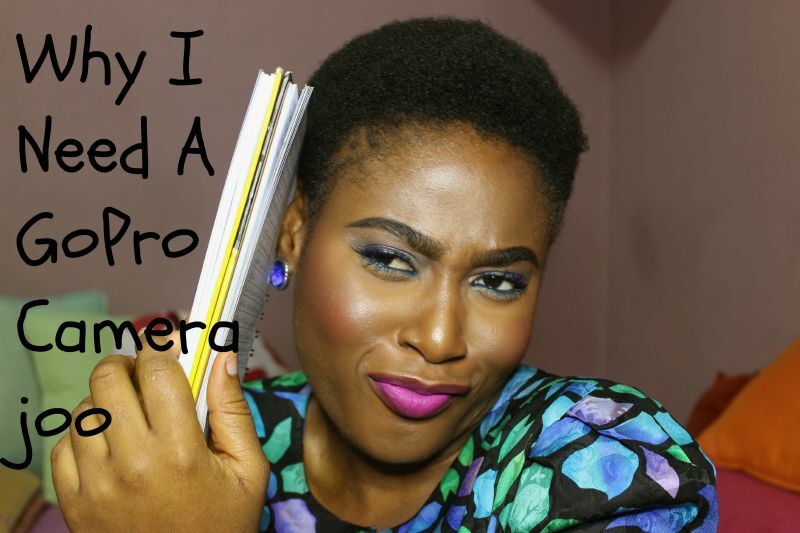 I'm setting myself up for this big time but the bible says ask and you will receive so I'm going out on a limb here and blatantly letting +Jumia Nigeria know that I need a +GoPro camera and I'm going to tell them why too. 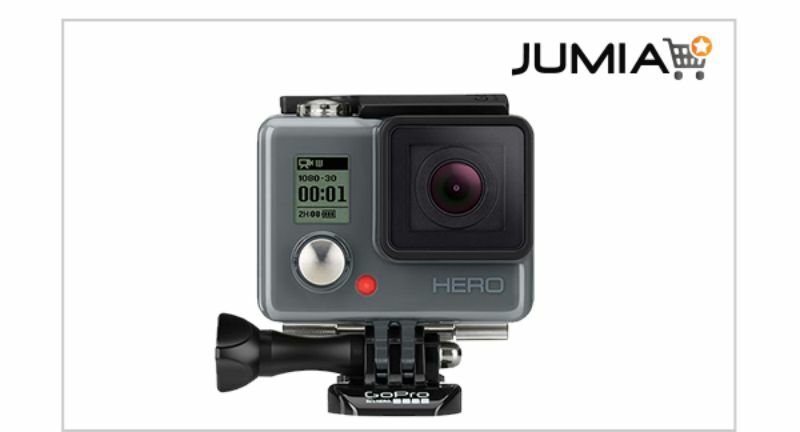 I'm supposed to be writing a post about the fact that Jumia Nigeria now has a storefront for the hottest camera in the world - the GoPro of cos. There is no way that this storefront isn't going to be one of the hottest things since sliced bread and everyone else is going to be talking about this store anyways. I mean seriously, it seems like everyone is on a quest to promote themselves (myself included) and a camera just has to be the instrument of choice in this game. The GoPro is perfect for this as it has all sorts of harnesses and was created with the ability to withstand harsh usage. It's waterproof, is wide angled so captures everything the eyes see, literally, works in low light conditions as it has Auto low light features and so on and so forth. The only way you won't understand my plight is if you have no idea what the GoPro is and it's abilities. If that's where you are, just google 'GoPro' and see ALL what you'll find. Now on to my plight. I want a GoPro, no, I need a GoPro. OMG, this will be the first time I'm asking for something so blatantly but I'm hanging in there and standing my ground, lol. Let's see how it goes though. I dabbled into makeup a number of years ago....5 to be exact. I started off with trying out all them N200 Davis eyeshadow palettes in the market. Somehow I knew that cheap foundations weren't the way to go for me so I didn't bother with them but instead tried to save up to buy the Mary Kays and Black Opals (some of which were fake). It would have been great to be able to record some of those my market escapades. Now the world is bereft of those because I don't go to the market to shop for makeup anymore. Every once in a while, especially when I have a special event, I create some awesome makeup looks. The good Lord knows there ain't no way I can set up a tripod, camera and all them stuff when I'm preparing for an event (ok, that sounds strange but I'm not your typical girl who spends hours getting ready so there ain't no way I can keep up with all that gear). I get to the event to compliments and exclamations all around. What did I do? I don't know. How did I do it? I can't remember. What did you use? That's the worst in fact cos I'm almost always clueless. Imagine being able to record the process that led to these awesome creations....*sigh*. I once did a group post with some mummy bloggers called 'Fly On The Wall', the idea for the post was - if our readers were flies on the walls of our homes or went everywhere with us, what would they see and hear. That was one of the most refreshing posts I ever wrote and funny too and I miss writing it. But so much happens around me, it's almost impossible to remember everything or even write them down. Wouldn't it be better to just show you for real, in a video, what you'd see if you were a fly on my wall or perched on my head or something? I've recently started to model both paid and unpaid, for my brand and other brands and it's literally impossible to do behind-the-scenes videos especially with me having to do my own makeup and styling the shoots as well. How on earth will I be able to shoot BTS videos? A GoPro would just be perfect. Lastly but by no means the least, I'm going on a weight loss/fitness journey which will involve exercise and diet changes, wouldn't it be great to record? I'm looking to travel, go out and be more adventurous for the first time, wouldn't it be nice to have records of these in video form? All my new food escapades considering that I'd much rather eat beans all year long would be perfect as videos. 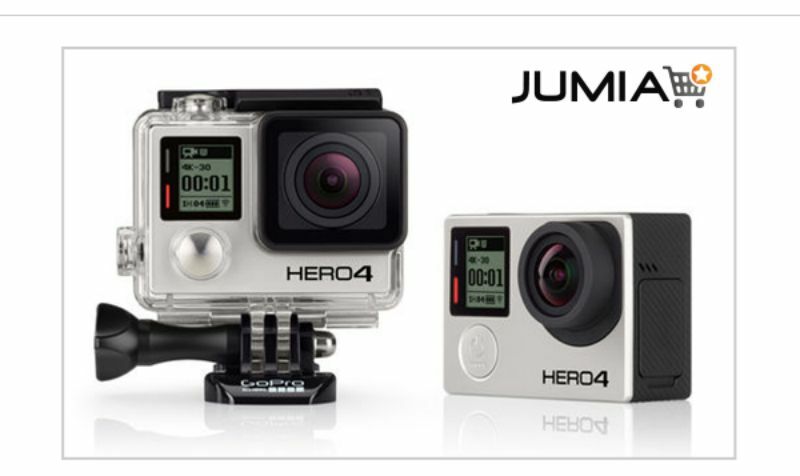 So +Jumia Nigeria, I've been to the GoPro storefront on your site and it makes me drool, but seriously, you see why I need a +GoPro now? All these are only some of the reasons and not all the reasons why I need one. With these few words of mine, I hope I've been able to convince and not confuse you that I do indeed need to be gifted with the world's hottest camera for capturing the most exhilarating moments?.